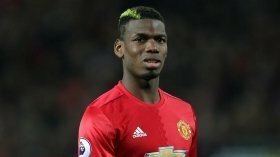 Pogba rejoined the Red Devils from Juventus during the summer of 2016 but he has since struggled to live up to his expectations with his inability to produce consistent performances. Amidst this, he has been regularly linked with an exit from Old Trafford and Tuttomercatoweb claims that United would entertain the midfielder's sale to Juventus, if they are allowed to sign Sandro in a swap deal. Sandro was recently watched by United scouts during the Champions League meeting versus Young Boys where the Bianconeri suffered a shock 2-1 defeat on the road. The Brazil international has just 18 months remaining on his existing contract with the Bianconeri and so far, the club have yet to reach an agreement over a probable extension beyond the stipulated length of his deal.